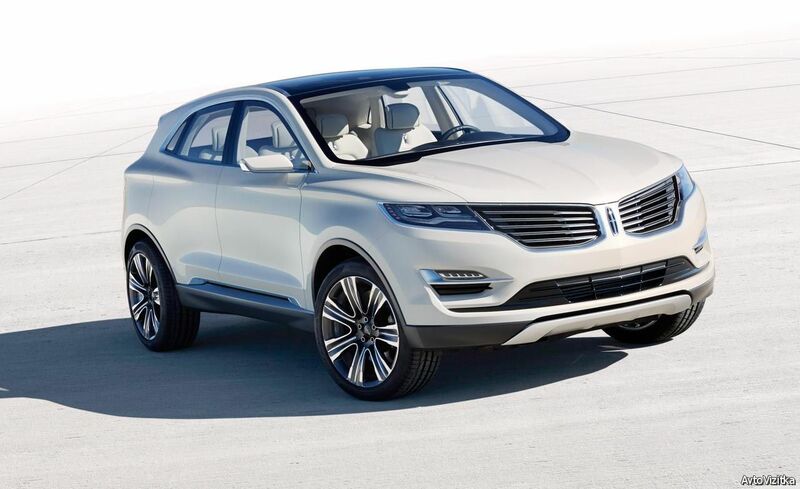 Since the Lincoln MKC’s debut two years ago, we’ve recognized this compact crossover as a Lincoln; it’s something more than a rebadged Ford Escape, with which it shares its platform. Ford is serious about morphing its struggling luxury division into a desirable brand, and the MKC—with a little credit to Lincoln spokesman Matthew McConaughey—is helping to do just that. As in one of its prime competitors, the Audi Q5, most of the lower-grade corporate parts are hidden. Two turbocharged four-cylinder engines are on the menu, both paired to a six-speed automatic transmission: a 2.0-liter with 240 horsepower and 270 lb-ft of torque, available with front- or all-wheel drive, and a 2.3-liter that makes an impressive 285 horsepower and 305 lb-ft, available only with all-wheel drive. We’ve tested both engines and drivetrains for 2015, and now we’ve just sampled the most expensive MKC, a nearly fully loaded 2016 Black Label that costs almost 60 grand. The MKC has proved itself a stylish, wholly respectable contender at its $34,185 base price, and while lacking some in interior quality and sportiness, it’s even satisfactory when you venture deep into the $40,000s. But at $57,895, where are we going? For 2016, the vastly improved Sync 3 infotainment system replaces MyLincoln Touch, offering simpler menu structures, faster response times, more accurate voice recognition, and wireless updates. A trailering package (the only option our car didn’t have) lets the MKC tow up to 3000 pounds’ worth of personal watercraft or a college dorm room packed in a U-Haul trailer. New paint and interior colors, along with a windshield wiper de-icer, are available. Since we’re nearly upon the 2017 model year, we’ll let you in on a little secret: The MKC gets a price cut of $540 to $1460, depending which of the eight trims you choose (Premiere, Select, Reserve, or Black Label, all in front- or all-wheel-drive versions). Our car would sticker for $56,775 as a 2017 model, an $1120 saving. Factory rebates on 2016 models mostly compensate for these discounts, however, and they’ll only grow on any 2016s left over on dealer lots. Those who wait will find more equipment comes standard for 2017, too, including a power liftgate, automatic brake holding at stoplights, and auto stop/start for the FWD 2.0-liter, plus Apple CarPlay and Android Auto.